My son’s blond hair and hazel eyes are not his most unique features, though quite special. His beautiful smile, captivating everyone, is not what sets him apart. My son’s dwarfism is what people notice when meeting him for the first time. I welcome each encounter hoping to share the miracle that is my son. Here are a some memorable moments that especially stand out to me. “How old is your baby?” the nurse asked. I winced at the word, baby. Mmm, how should I answer? I’ve come to the realization that being direct is the best method. I used to answer with just a number, not mentioning whether it was in months or years. I thought being elusive was the best policy, but then I’d see a look of confusion and I’d end up confessing my son’s true age. You see, my son has a rare form of dwarfism called thanatophoric dysplasia. At 10 years old, he is 25 inches long and weighs in at around 20 pounds, give or take depending on how much cereal he eats. He has the face of a young boy but the body of a baby. We both smiled. Instead of leaving the conversation there, my husband began to share what a miracle our little boy is overcoming a “not compatible with life” diagnosis. We shared how he wasn’t expected to live past birth, his months in the hospital and how we were blessed when he was able to come off his ventilator. 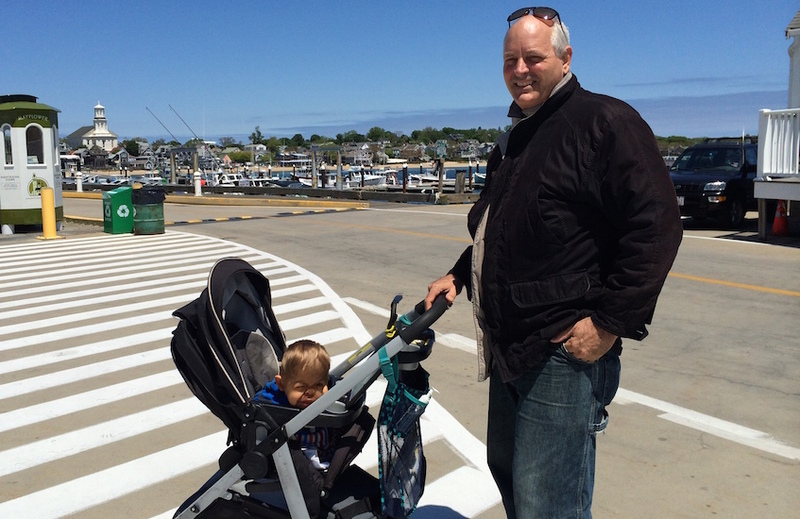 Recently, as I was entering the grocery store, I was following several steps behind my husband as he pushed my son in the stroller ahead of me. A young lady with silky brunette hair was leaving the grocery store. As she passed the stroller, she tilted her head back to look at my son. I then saw her face light up with a brilliant smile. I tucked her response in my heart. We didn’t get to tell her she just saw a miracle, but her response really touched me. At a local restaurant, we followed the hostess to a booth. As we passed another table, my son’s eyes mesmerized a tall blonde eating her meal. After we finished our meal, I asked to pay the tab and was informed the bill had already been paid. Seeing my surprise, the waitress pointed to the blonde. I went to her table and thanked her for the kindness. She proceeded to tell me how my son captivated her as we passed her table. We exchanged emails. I treasure how my son moves the hearts of those he meets. As our son continues to grow, very slowly, we’ll continue to receive a variety of reactions from the public. And as we do, we’ll continue to share our miracle, and hopefully he’ll continue to inspire others. Follow this journey on Miracle Mann. Evelyn Mann is a stay at home mom who lives in Tampa, FL raising her son born with a rare form of dwarfism. 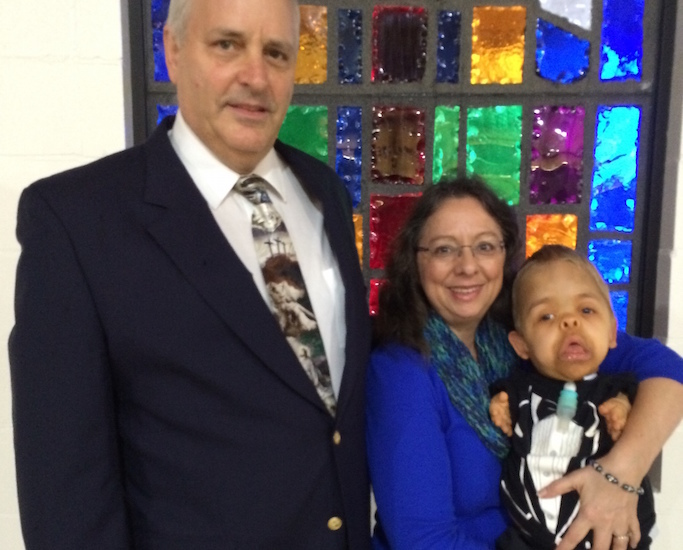 Though originally told her son would not survive birth, God had other plans. Only 1 of 9 survivors worldwide, her son has overcome all odds. Mrs. Mann has appeared on Fox and ABC media sharing her story. Her memoir, Miracle In My Living Room is available on Amazon, Barnes & Noble and on her website, www.miraclemann.com. Her favorite pastimes are cuddling with her son and reading books.